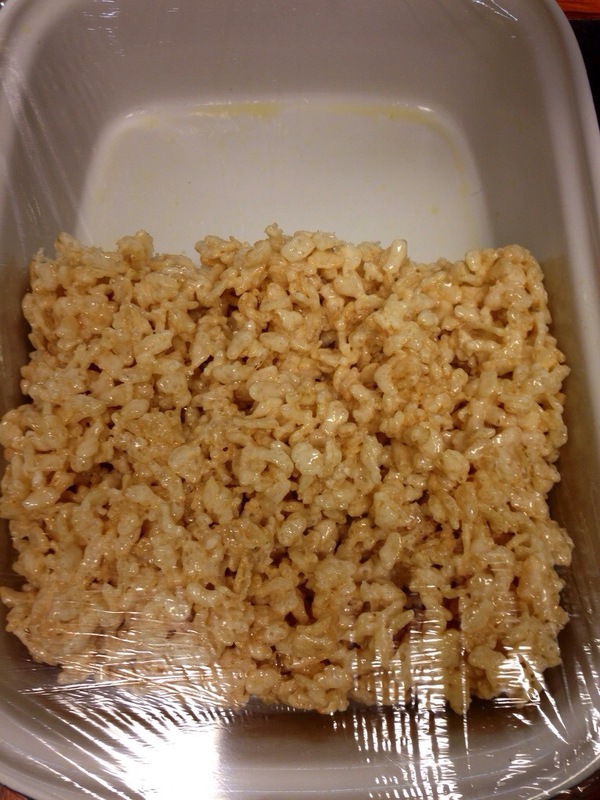 When was the last time you had a home made rice crispie treat? I mean seriously. It’s like edible childhood. I made some at the end of my terrible, horrible, no good, very bad week, and finished them last week. Best. Decision. Of the week that cannot be named. This cat lives at the flower shop. Her name is Juliette. 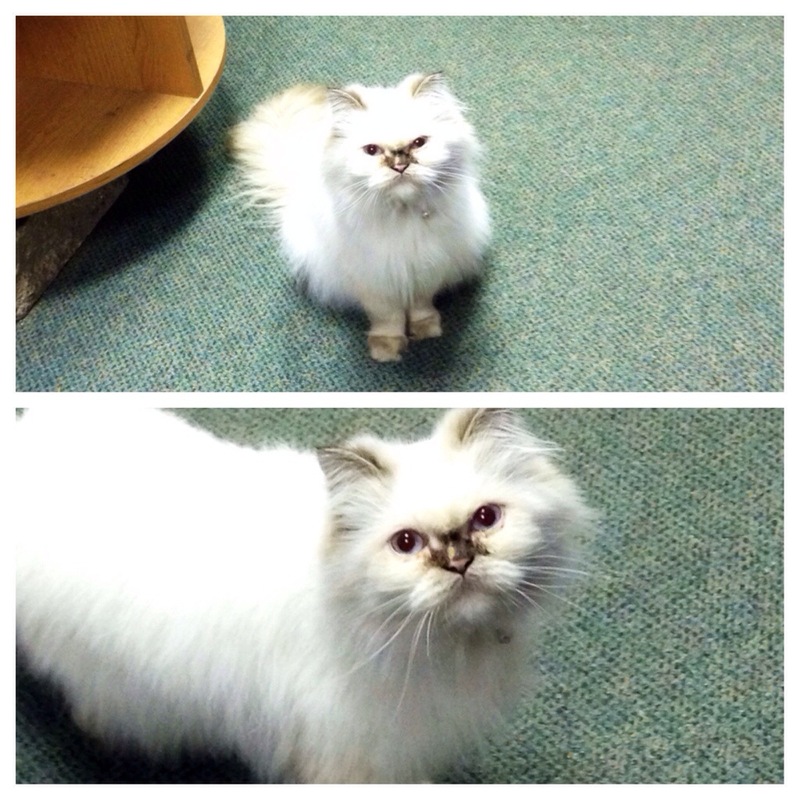 I recently learned she is a Himalayan. To me, she looks like she ran into a wall running at top speed. Sometimes we’re friends and she visits me at my desk. Mostly she just naps on displays she shouldn’t be napping on, and distributes piles of hair evenly throughout the storefront. This is my favorite meal in existence. 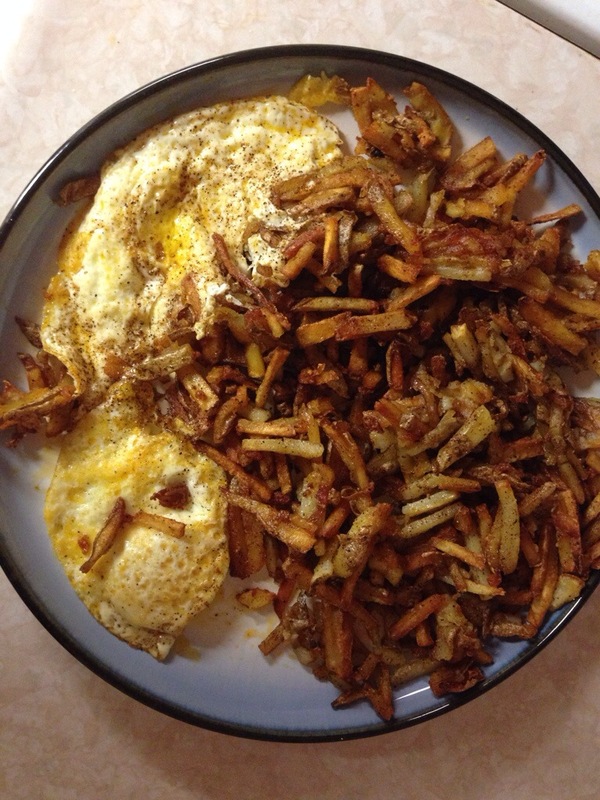 Fried potatoes and eggs. I don’t care if you think that’s too many fries for one person to eat. I ate them all. And I’m not sorry. I save this meal for the nights when S closes at work, and I spend long hours alone. 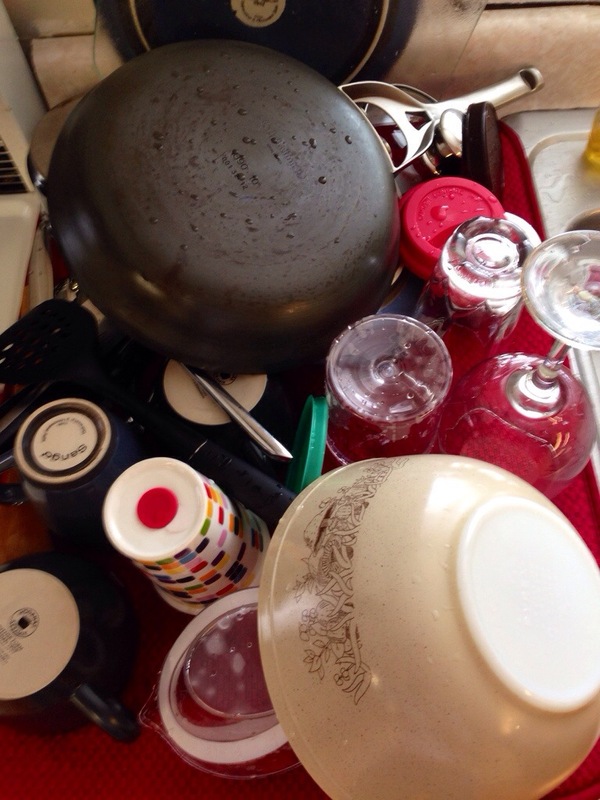 As I mentioned before, S and I do not have a dishwasher. We both live busy lives. We have laundry to do, dishes to do, a house to clean, gardening to take care of, a dog to care for – in addition to all the work, school, writing, and hobbies we engage in. It takes 4 seconds, but it means a lot. It helps us to remember that we’re a team. We both do things, we both help around the house. It’s easy to just expect things to be done. Expect the bed to be made. Expect the dog to be fed. Expect the toilet to be scrubbed. But expectations aren’t really fair or respectful most of the time. Acknowledging the effort of another person is a lovely thing. Expressing and receiving appreciation are important.